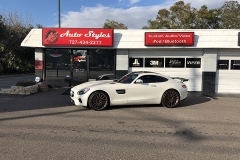 This Mercedes GTS came to us for an audio upgrade. The technicians at Auto Styles used their talents and the technology of JL Audio to make it happen. The factory speakers are now powered with a JL Audio XD series 6-channel amplifier. The custom made fiberglass subwoofer enclosures house the JL Audio TW3 series subwoofers which is powered nicely with the XD series mono amplifier. With the subwoofers off to the sides, the customer is still able to retain almost all of his original trunk space. For a quote or information on a custom stereo build for your vehicle, contact the sales team at Auto Styles or stop by our Clearwater showroom today. 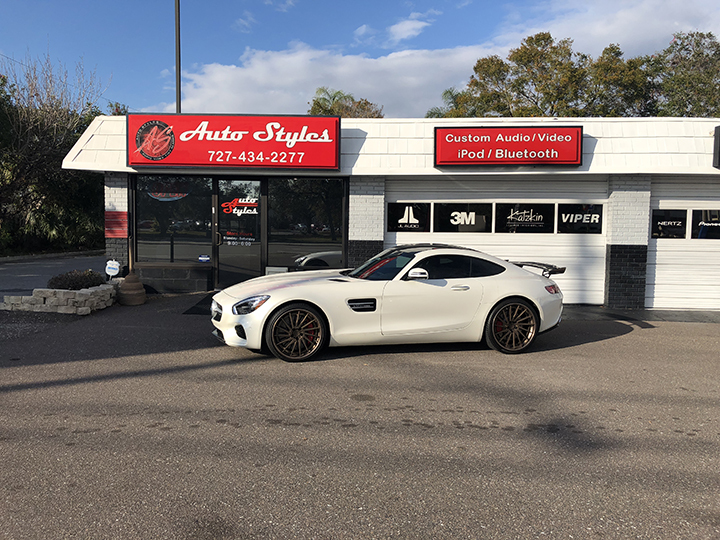 Auto Styles is conveniently Located in Oldsmar, Florida, just minutes from Palm Harbor, Countryside Mall, Dunedin, Tarpon Springs, Clearwater, Safety Harbor, Westchase, Pinellas Park, Largo, St. Petersburg and Tampa, Florida.